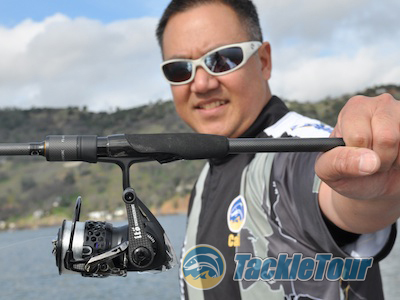 Introduction: Since 2004, Yuki Ito has built quite the reputation for taking a current production Daiwa Japan reel and putting his own spin on it. In some cases, there are actual performance enhancements to the reel, in some cases not, but in every case this flamboyant designer and CEO of Megabass creates a final product that elicits within many enthusiasts the same response a bell elicits from Pavlov's famous dog. In fact, Yuki Ito's success in tuning Daiwa's products was such a hit, early in 2009, they formed an official partnership with Daiwa bringing Yuki Ito in to head their Research and Development operation in an effort to spicen up their mid-level lures and rods. In exchange? Ito gets free reign of the reel department to create whatever madness inspires him. Introducing the Megabass Racing Condition 256. There have been many offspring from this marriage, some desirable, some not - witness the IS73 Competition, Zonda, Jaggler, Pagani P300, Motorista, Renlli, Luvito, the never ending Monoblock Bespoke editions, and more. 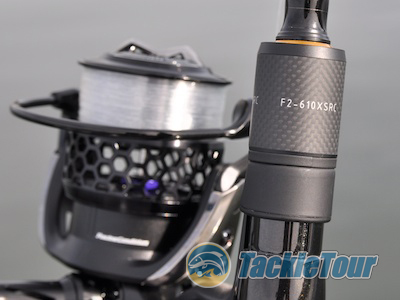 In just about every case, the underlying Daiwa platform is obvious, but with one recent creation, the baseline Daiwa platform is not. 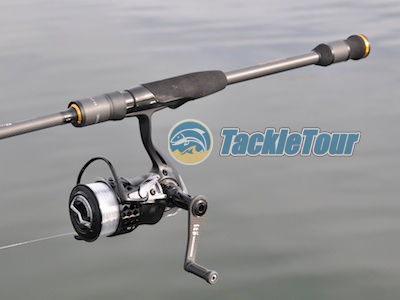 Could this be the first sign of another "evoluzion" in the Megabass product to include true, original reel designs? Or is it just because Daiwa's spinning reel lineup is so diverse, it's just difficult to discern exactly which reel was the source for Ito's inspiration? 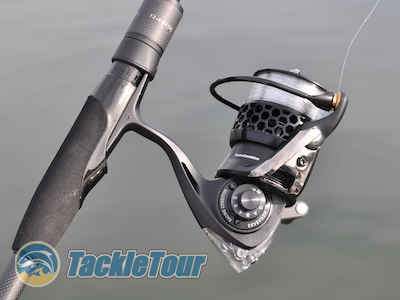 Whatever the case may be, we managed to get our hands on one of these beauties and are ready to share with you, our thoughts on the Megabass Racing Condition 256 Spinning Reel. Could Megabass be trying to forge an independent name for themselves in the reel industry? 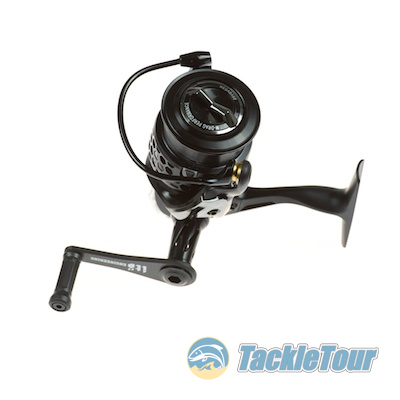 We were not able to discern a clear cut Daiwa base platform for this reel. Inches Per Turn (IPT) tested 28"
Impressions: Marketing photos of the RC 256 are inspiring. The reel is showcased in an all black environment with hints of its outline and form highlighted by strategically placed lights. It is a prime example of what we come to expect from Mr. Ito's designs. The RC 256 is, in a word, exquisite. The reel is even more impressive in person. 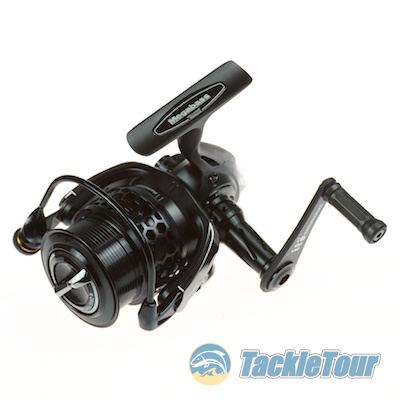 As you lift it out of its box what strikes you first is the reel's lack of weight. It's not quite Exist light, so we know it's not based on that platform, but it's light nonetheless (7.1 ounces with line). A quick spin of the handle reveals ultra-smooth gearing and precise oscillation of the spool atop a whisper quiet rotor. The reel is almost effortless to crank. One source of disappointment? Most high end spinning reels come with some kind of case. Daiwa Japan ships their Exist reels with a hard sided clamshell protector, Shimano ships the Stella in a soft bag, and Evergreen International goes way over the top with custom, zippered pouches for the Opus-1 and Opus-1 Nero. The RC 256? It comes wrapped in a clear plastic bag within the box and nothing else. At 59,800 JPY, I'd have hoped for a little consideration to help protect this reel, but in the end, it's not that big of a deal. Note the holes in the spool are hexagonal not round. Field Tests: Sunline has a new, premium grade, nylon monofilament out called Super Natural. I’ve been waiting for an opportunity to try this line as the description “premium grade” and nylon monofilament aren’t often associated with one another. The RC 256, with its shallow spool easily took ninety yards of six pound test Super Natural, so I was ready to go. Destination? Clear Lake, California where we officially kicked off our year of “What the Finesse” (WTF) testing! What rod is that you ask? 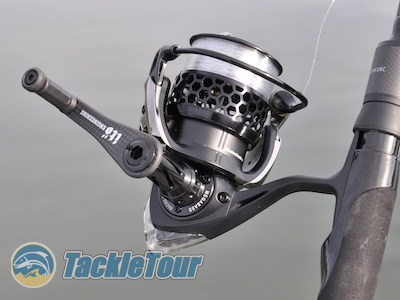 Of course, no Megabass reel would be quite at home unless it were mounted on a suitable Megabass rod. Question here was, do we go old school with a previously reviewed model like the F3-610DGS Aaron Martens Limited? Maybe the F3-69XS Shabbler? Or how about the ultra premium F4-69RSDti Orochi Evolution? The limiting factor here is, we've already told the story on those three sticks, and wouldn't it be nice to try something new for 2011? I decided, WTF, and went all-in by acquiring the F2-610XSRC Racing Condition Full House. Why of course, it's the Racing Condition F2-610XSRC Full House. The winter bite at Clear Lake can be brutal which means it's a perfect time to go finesse. I tied on a drop shot rig using a new, #2 sized Wacky Hook by Owner. This hook features a needle point and a relatively wide gap for such a small hook. The throat extends almost to the eyelet which has a slight turn in. Our strategy was to fish rock piles, so I went with a River2Sea tungsten drop shot weight in the shape of a cylinder to reduce hangups. 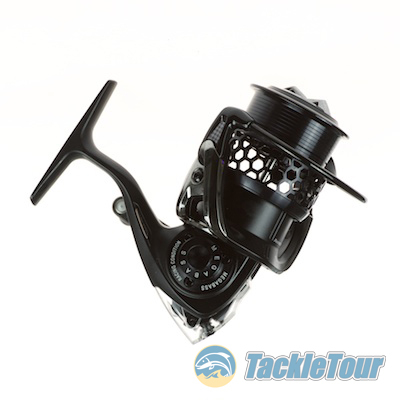 The Megabass Full House is a perfect match for this reel.